Seniors today are living healthier and longer lives. 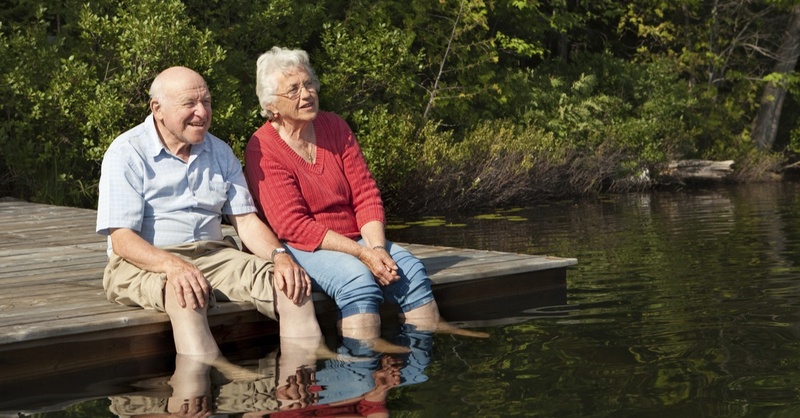 The number of Americans living in senior communities is expected to double by 2030. The increase in popularity of senior living communities is no coincidence. Along with the growing population of seniors, senior living communities have challenged themselves to meet growing expectations for vibrant environments with freedom of choice, companionship, excellent care, enriching activities, and purposeful programs. Most people approach the decision to move into senior living with great trepidation. Some feel like it is the beginning of the end, some feel it just won’t fit their lifestyle, and many just fear the change it will bring. We think if you chatted with our residents, you might be surprised to hear how they feel living in a community brings them comfort and security, keeps them busy and active, and fills their life with purpose and joy. Here are the facts behind five of the most common fears about senior living. Usually, the first concern when searching for senior living is cost. But, with the right planning, senior living can be affordable for many seniors. In fact, senior living community costs can be more affordable when compared to adding up the cost of food, home maintenance, security, insurance, energy bills, and all the other costs associated with owning a home or renting an apartment or condo. These costs will only increase when the time comes to make safety upgrades like ramps or an accessible bathroom. These days there are a number of ways to pay for senior living. This can include the sale of a home, accessing savings, government assistance such as social security and VA benefits, and options like annuities, reverse mortgages, and bridge loans. A Senior Living Advisor can help you understand and explore these options. Also check out our helpful Financial Comparison Planner helpful price comparison sheet. The focus of senior living communities is not to take away a senior’s freedom of choice but to offer an independent lifestyle that includes assistance with needs and chores as desired. On a given week, Weatherly Inn residents can be found out to lunch, at a show, or even on trips to places like Mt. Rainier or the Olympic Game Farm. Where needed, our team can take care of the tasks that become difficult at home while you focus on the fun! The best senior living is personalized for each resident and enhances their ability to care for themselves. Staff will take the time to get to know each person and learn their personal preferences in an effort to foster their independence and facilitate their freedom of choice in areas such as daily routines, menu choices, and participation in activities. Senior living communities know the power of social connection helps people feel known, content, and happy. With this in mind, senior communities have a continuous schedule of activities to foster relationships. This can include gardening, volunteering, presentations, Sunday drives, happy hours, holiday celebrations, and special events like National Grandparents Day. Residents are welcome to invite guests to most of these events. This means there are opportunities to spend even more quality time with friends and family than might have occurred while living in a private home. Here's a list of all the Weatherly events, we also keep a good calendar on our Facebook pages. An increasing number of senior living communities offer various levels of care: respite or day care, independent living, assisted living, and memory care for Alzheimer’s and dementia. This means one may move depending on the level of care needed while remaining within the same living community through the years. A nurse assesses needs every step along the way, ensuring enough care is provided without wasting resources. Family and physicians are brought into the loop as appropriate and as each stage is considered. The best senior living communities not only provide for their residents but also for their employees in an effort to maintain longevity and thus continuity and similarity between residents and caregiving staff members. Loneliness, depression, and isolation are often associated with living alone and have been known to affect health and well-being over time. Residents in senior living, on the other hand, are offered a vibrant lifestyle with opportunities for companionship, engagement, and stimulation, all of which are associated with a longer healthier life.1 Whether a social butterfly or someone who enjoys their own space, each can choose their level of participation to suit their personality and need for social interaction. The aim is for senior living to be as home-like as possible and for residents to feel comfortable and cared for at all times, and above all, hopeful and excited about the future. If you would like to learn more about Weatherly Inn senior living communities, please contact us. We would be happy to show you around our locations on a guided tour.